After 8 months of inactivity, I shall return to write in my blog. I apologize for my absence, but I was completely focused in my university studies. I hope I can post at least two new entries next December. 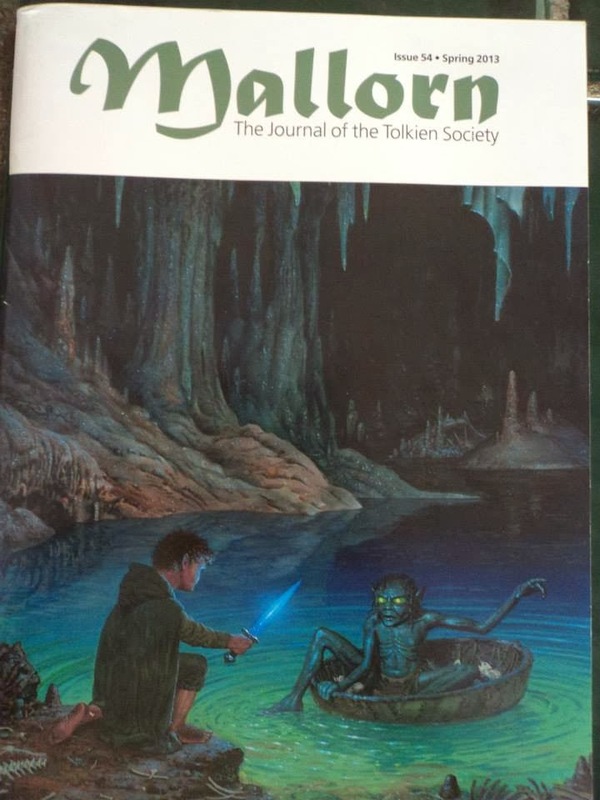 My "Hobbit" movie review, which I wrote almost a year ago, was published in Mallorn, the Tolkien Society's Journal this May 2013. Mallorn 54 had a section dedicated exclusively for movie reviews, so I sent my review and gladfully it was accepted. I even received a physical copy of the journal because I was a contributor ^^. 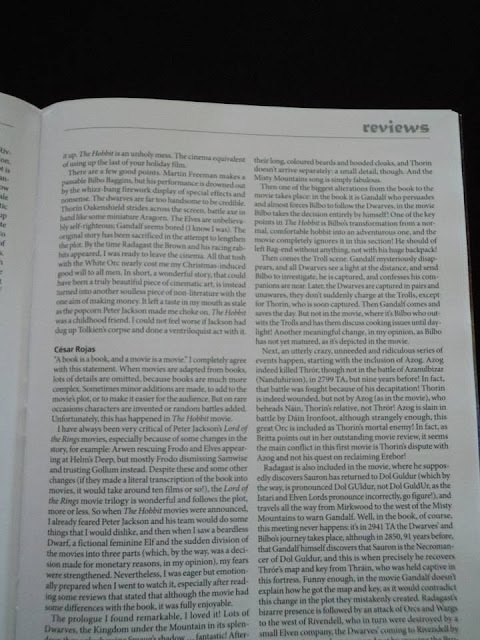 I must thank Henry Gee, the editor of Mallorn, for accepting my review and for sending me a copy. 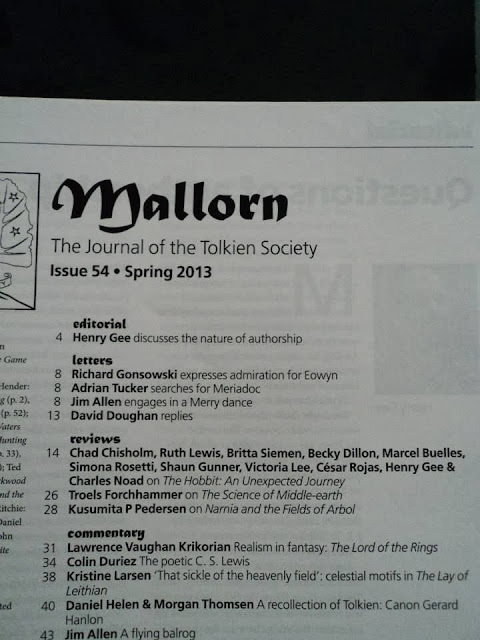 My name in the Tolkien's Society Journal? I am truly speechless, it's definitely a dream that became true. I hope this is not the last time a piece of writing of mine is published in this journal.